The Daytona Shelby Z's were considered to be 'inspired" by Shelby. The motor from the 86 Shelby charger was the basis for the TII in this car, but it is not a "true" Shelby as it did not go to the Shelby plant after production as the numbered cars did. Sun and shade means it has the removable pop up sun roof and the rear window visors. 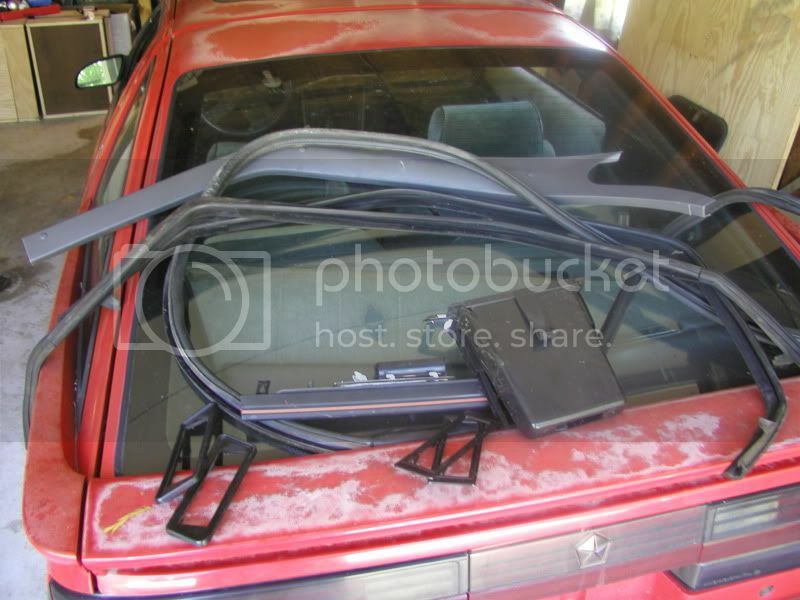 The rear visors are especially rare... although we me in the car the back seats are more like a shelf, so the visors probably aren't going to see much use LOL. Wow, nice little car there. Never was a fan of that motor, but all the ones I ever ran across were ready to be put out to pasture - but I hear great things about them now that I'm amongst those that give them a little TLC. It is a great looking project though, I'll be keeping an eye on your progress here. Damn a fresh canvas....nice find Nate!! Be sure to post up on the repair process...and bring it to a meet! Well business has been slow, mostly because I spent all of my disposable cash on the car, but I have picked up a few more odds and ends just hunting through the yards. A new front fascia: Really nice condition, Not horribly painted over 4 times like the once currently on the car. Same car had near MINT condition window tracks and drivers side door seal. Also got a new cup holder, and some daytona door handle bezels ($3!!) as well as a crap load of other bezels, just for the heck of it. And the highlight of my day look what came in the mail today!! Last thing I need to buy is a couple torque wrenches, unbelievably, I've never got around to buying them. But before i drop the pan I need to invest. Might be another few weeks still before I really get to dig in. Last edited by beeblebrox82; 07-30-2010 at 09:37 PM. There is a Daytona in the yard near me is. is there anything you need I am planing to stop by there tomorrow. If it has the black bezels that go around the door handles I'll take those for sure. Grey interor, if the center arm rest is in really good shape I'd love that.... 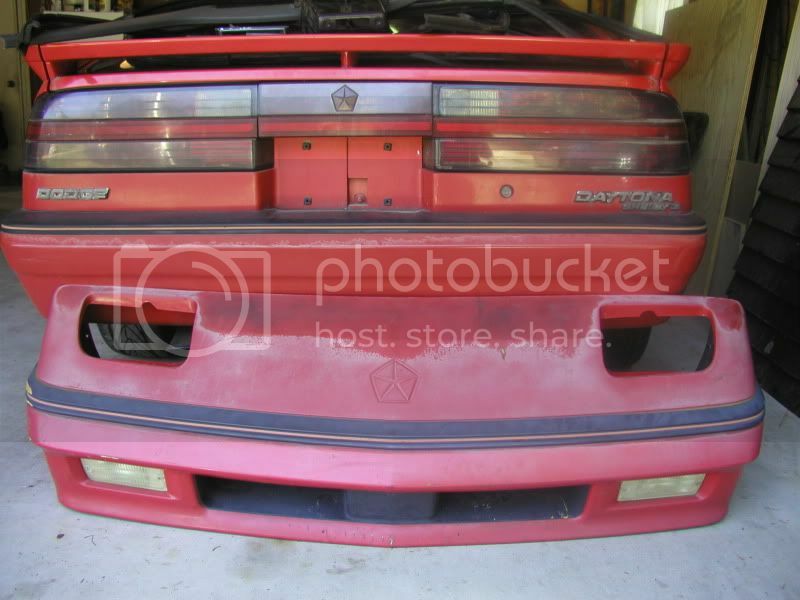 If it happens to be a 87 Turbo I'd take the whole engine harness if they'll sell it (I know that's asking a lot!) Umm. If it has a "navigator" in the center stack (would be above the turbo boost gauge and message center, if it's not there it's just a pocket) Might be interested in the instrument cluster too. I checked out the web site and it is an 89. but I'll see what it has any of that. bummer. Well never mind the engine harnness... the navigator and arm rest should still be good though... and the door bezels! Why all the door bezels? What is the 'navigator'? The bezels break. I guess the Daytona ones are pretty rare. 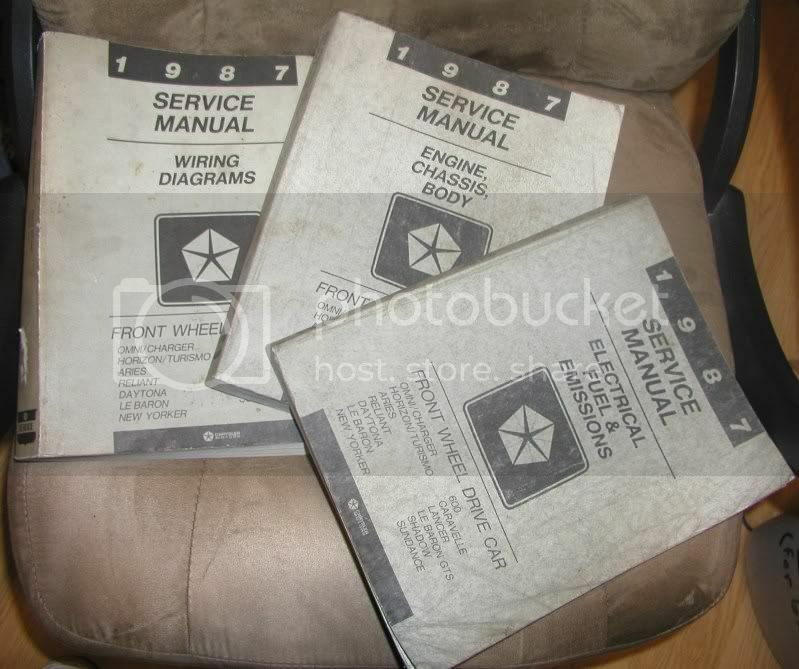 The navigator, or Traveler is I think the technical term, is the 1987 equivalent of the Otis/EVIC. It has trip functions, temperature, mpg readouts and all sorts of great stuff. I love having more buttons to press! are you going to keep it the same color when painting it? wife and I have some crazy ideas, but I'm not sure how comfortable I am doing a color change....We shall see I guess! new hemi orange with black stock looking stripes would be a knockout. But it is a shelby so mabe a bolder red.